This time last year, Collaborate was still in its very earliest phase. 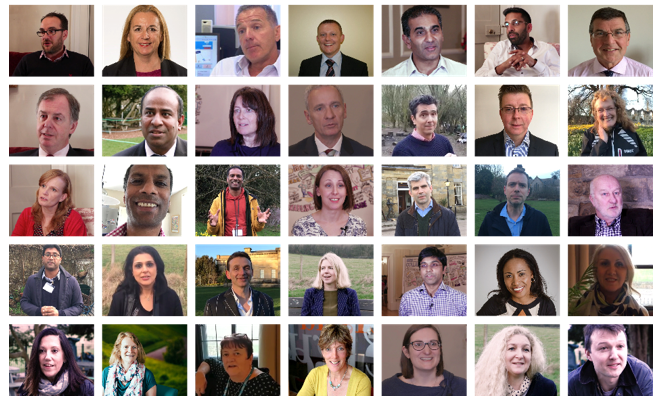 Over the past year it has grown into a dynamic community of over 200 leaders, full of vision and ambition for primary care. As 2017 draws to a close, here are some highlights from a busy and transformative year. 2017 kicked off with the very first regional Collaborate Connect meetings, held in Lancaster and Bristol. These meetings brought together a variety of leaders from across primary care – GPs, nurses, practice managers and beyond – all determined to connect and make change happen. From the very beginning, Collaborate’s mission was to connect leaders in new and unexpected ways. These meetings introduced attendees to concepts such as generative listening and mindfulness – techniques that aid connection on a deeper and more personal level. A recurring theme that emerged was the need to create a new culture of leadership, one that moves away from a top-down, target-driven approach and embraces the power of togetherness. March saw three more regional Collaborate Connect events take place, this time in York, Worcester and Brighton. Following a similar methodology to the previous two events, these meetings gave attendees the time and space to reflect on the leadership issues that matter most to them, creating and sharing their own two minute videos in the process. In doing so, a few ‘raw ingredients’ of leadership began to surface – qualities that have been adopted by Collaborate as the foundations of a new culture of leadership. They are risk-taking, resilience, purpose, listening and vulnerability. These qualities were explored through the prism of art during Collaborate’s first national Spring Festival, ‘The Art of Possible’. Taking place at the Tate Modern on a glorious day in late May, the day proved a powerful force in opening minds to the possible, even in times of exceptional challenge. Spending time drumming in unison, understanding the role of art in positive disruption, and exploring leadership through Shakespearean characters enabled people to connect and share stories at a very human level. The energy and enthusiasm generated from the Spring Festival continues even today through the national Collaborate WhatsApp group. One of the highlights from the Spring Festival was listening to Jaz Ampaw-Farr, whose inspirational life story captured the room and provided a very personal touchstone on the day. She returned in August for a Collaborate Connect meeting in the North West, where she explored the meaning of ‘why’. For the first time, Collaborate welcomed school teachers as well as those working in primary care, highlighting the many similar challenges that leaders in both healthcare and education face. In November, Jonathan Serjeant and Mark Spencer sat down with Ben Gowland as part of the Ockham Healthcare ‘Future of General Practice’ podcast series. Both emphasised multidisciplinary, collaborative working as key to the future of primary care. This proved pertinent as Collaborate announced its role providing leadership support for the NAPC’s primary care home network. As a model which relies on building long-lasting, sustainable relationships across health and social care, it aligns perfectly with the values of Collaborate. Collaborate is continuing to work at both a national and local level. As well as supporting the primary care home programme, Collaborate is now part of the RCGP’s leadership strategy. Collaborate Connect-style breakout sessions at the GP at Scale National Conference in December introduced a whole new cohort of primary care leaders to the power of generative listening and, more generally, the principles of Collaborate. On a more local scale, new Collaborate communities are beginning to emerge in Somerset, Gloucestershire and the North West – where Collaborate is expected to cover the whole of the Lancashire and South Cumbria STP footprint. We look forward to seeing these communities grow and evolve over the next year. The most important thing we have learnt over the past year is that together we can make a difference. Thank you for joining us and being an integral part of the Collaborate journey so far.